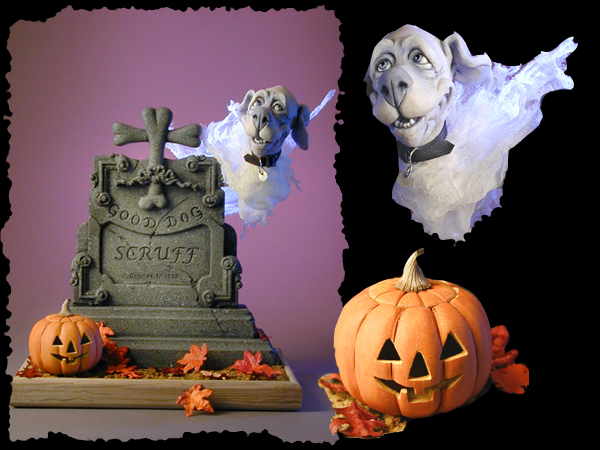 Carved & Painted Wooden Pumpkin, Wooden Tombstone. All artwork and images displayed in this website are protected by &COPY; Copyright 2007 Jodi & Richard Creager. All rights reserved.